This guide to 'self-help' has become highly valued by sufferers from anorexia nervosa, their families and their carers. It relates to Arthur Crisp's much praised text Anorexia Nervosa: Let Me Be, now in its third reprint. 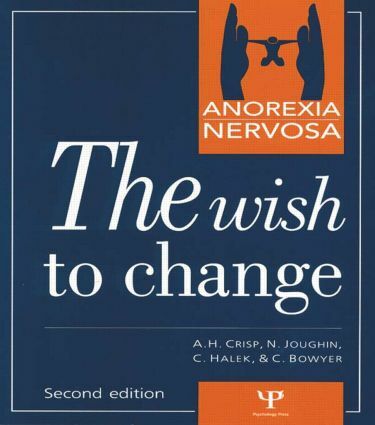 Many sufferers report that Anorexia Nervosa: The Wish to Change has provided them with their first private opportunity to reconsider their position and future properly, and then to do more about them. Carers have found it particularly helpful as a joint tool in their work with patients, especially when used alongside the more recently published Anorexia Nervosa: Guidelines for Assessment and Treatment in Primary and Secondary Care and the Patient's Log Book from the same centre.